Wikipedia definition states An elliptical trainer or cross-trainer (also called an X-trainer is a stationary exercise machine used to simulate stair climbing, walking or running without causing excessive pressure to the joints, hence decreasing the risk of impact injuries. It is therefore very beneficial for people with certain kind of injuries and wants to stay fit to use an elliptical machine as the low impact will affect the very little if any at all. They can be self-powered by user-generated motion or need to be plugged in for adjustment of motion and/or for supplying their electronic consoles and resistance systems. The elliptical exercise machine gives a total body workout and targets more muscles than running, walking or any exercise that focuses on the legs. The exercise for the upper body is done by use of the handle-levers this engages the muscles in the arms and shoulders, and the pedals require the legs muscles to work. If standing correctly, your core muscle will also be engaged. The main muscles worked on the elliptical are your quads, glutes, and hamstrings. Your calves also work but to a lesser degree. To work your calves muscles adjust the incline ramp (if your machine has one) to a steep angle. Because the elliptical is very easy on the joints and provides total body workout along with great cardio it is one of the popular equipment in most gyms. Exercising on the elliptical machine can be very boring and repetitive try high training intervals during your 15 -30min training and it is suggested to aim for at least training for 150 minutes per week. It is non-impact you can emulate the motion of running without any strenuous on your joints that would occur otherwise. When working out on the elliptical machine the same amount of calories are burned with less effort. Studies show that you are actually working harder than you think based on the heart rate. 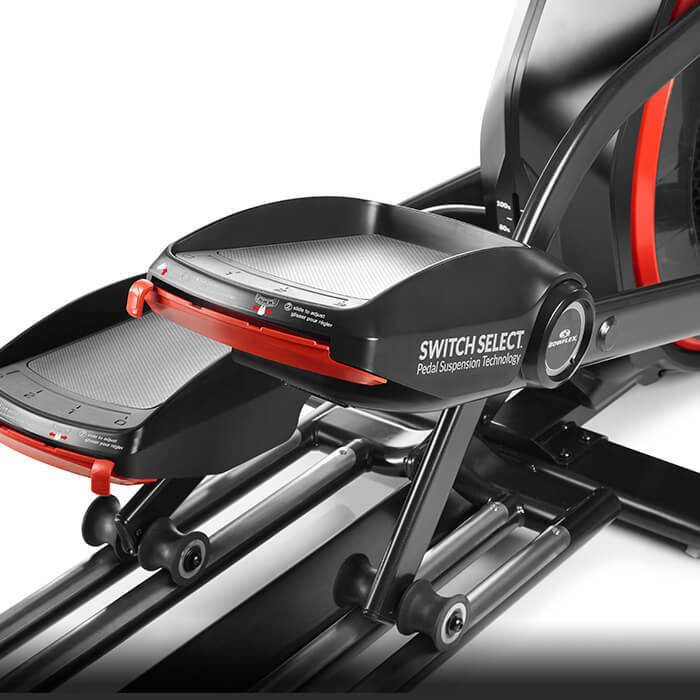 There are a couple cons with the elliptical especially the weight bearing aspect because the pedals are suspended for less impact on the joints the weight bearing effect is not as good as the treadmill. The elliptical can be used as an effective cardiovascular machine for those who want to help improve cardiovascular health with minimal impact. For losing weight using the elliptical machine a should be implemented. Treadmills come with more stress on the joints so the elliptical is an adequate alternative. If you have an injury that is made worse by weight-bearing exercise like running then the elliptical may be the right option for you. For losing weight using the elliptical machine should be implemented. Treadmills come with more stress on the joints so the elliptical is an adequate alternative. If you have an injury that is made worse by weight-bearing exercise like running then the elliptical may be the right option for you. 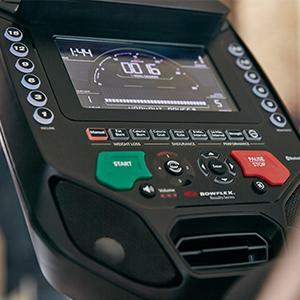 The Bowflex bxe 116 is a great machine it has Bluetooth Connectivity there is an app available that enable you to track your fitness level. There are 3 different levels of tilt adjustment there is also a switch select which allows you to work harder and achieve the desired results. In-reach multi-grip handlebar buttons ensure you’re always in control while pedal incline adjustments couldn’t be easier. This machine has a 41/2 stars rating the pros are very favorable. Awesome workout. Very quiet operation. Well made machine. very disappointed in the smoothness of operation.